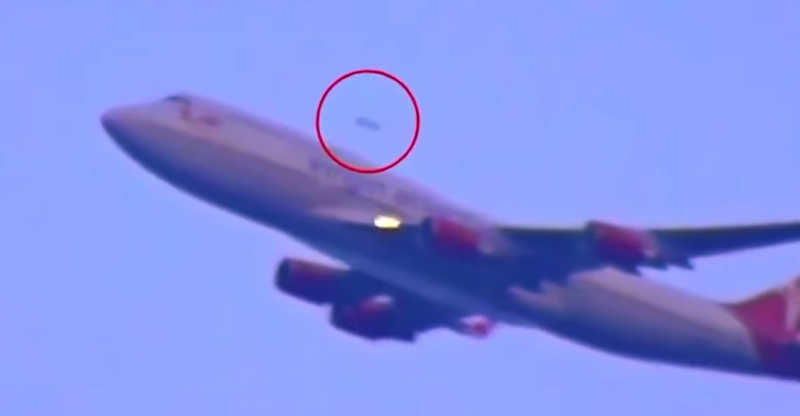 A new video has emerged online this week which appears to show an unidentified flying object seemingly racing a Virgin Atlantic plane. The craft can be seen whizzing past the aircraft at a similar angle, shortly after the flight had left JFK airport in New York City. Is it proof that aliens exist? Well, not quite. But no one is rushing out yet to explain the video. Is it a UFO? Well, until the object is explained, almost certainly. Is it extra terrestrial? There’s no way to know.